Helping Couples Plan Their Families: What’s Your Role? Safoura, wife of the author’s cousin, with her youngest daughter. Ouagadougou, Burkina Faso — As a physician in Burkina Faso, I have worked for more than 30 years to help ensure that the people of my country have access to the health care they need. I have often looked at the big picture—working to strengthen my country’s national policies on malaria, child survival, prevention of HIV/AIDS and family planning (FP). But I haven’t always looked closer to home. That is until my cousin’s wife, Safoura, confided in me when I was visiting my childhood village one weekend. She said she was tired. And who could blame her? A mother of nine, Safoura had given birth every two years since the age of 16. Safoura had confided in me because we often discuss health issues, and she trusts me as a senior member of the family. She and my cousin Kotié, a farmer, live in the village of Yallé, about 87 miles from the country’s capital of Ouagadougou. I suggested that they both attend an FP counseling session at their local community health center to learn about contraceptive options. An average family in Burkina Faso has six children. Recognizing that too many parents struggle to meet their families’ basic needs, the government of Burkina Faso has stepped up efforts to ensure that women have access to contraceptive methods so that together with their partners, they can plan the size of their families. As Jhpiego’s Burkina Faso country director, I am working with the government on an initiative to provide families with this opportunity. We are integrating postpartum family planning (PPFP) into existing maternal and newborn health services by strengthening educational institutions’ ability to prepare nursing and midwifery students with the skills to provide long-acting and reversible methods. These include the intrauterine device (IUD) or implants, which can be provided immediately after childbirth, whether a woman is breastfeeding or not. We are also updating the skills of health care providers already on the job so they can provide quality PPFP services. To date, we have reached 43,014 women with FP through this program, with the goal of 60,000 by 2018. 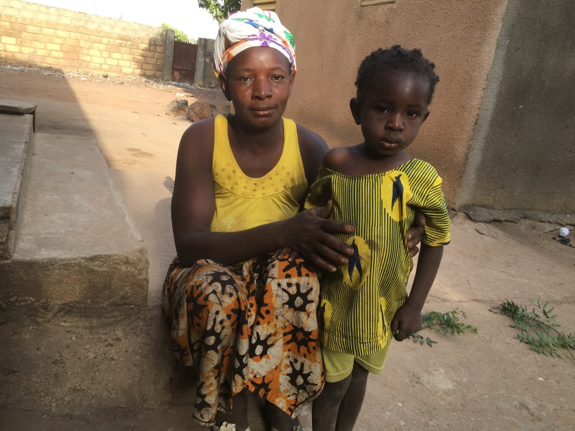 We still have a vital mission to meet the needs of thousands of Burkinabe women living in rural areas who face two main obstacles when considering FP: the possible refusal of their husbands and the negative perception of FP within the community. Discretion is very important to these women, and many prefer long-acting methods to avoid having to return regularly to the health center. As a physician living in the capital and the father of three daughters, I was able, together with my wife, to plan the size of our family. Finally, my cousin and his wife can too. Kotié realized that the number of children in their family was high in relation to their means, so he was quick to accept my suggestion of going to the health center with his wife for counseling on FP options. The couple chose an IUD. When their youngest baby turned 1 year old, I drove Safoura to the hospital—she had no other way to get there but walk the 12 miles. She met with a trained midwife who provided her with an IUD after counseling to make sure that Safoura had freely made the decision. Two years ago, Burkina Faso was among 16 countries to send a delegation to a global meeting on PPFP. Since then, with Jhpiego’s support, our country has embraced innovative and effective approaches in advancing PPFP. To achieve even greater success, we must continue along this path, collectively and individually. Families everywhere deserve information and services that allow them to decide how and when to grow. Let’s all play our part to ensure no one is left behind. Stanislas Nébié is Jhpiego’s Country Director in Burkina Faso. Editor Alisha Horowitz also contributed to this article.